Did Lana Del Rey copy Radiohead? This week, Lana Del Rey stated that she is being sued for copying Radiohead’s 1992 song Creep in her 2017 release, Get Free. They are both mid-tempo (Creep is around 92 BPM; Get Free is around 102BPM). They both have a similar rhythmic feel – straight 8s 4/4 time, in 8-bar sections (this is a similarity but an unremarkable one, given that it applies to a huge number of songs). Creep is part-borrowed from Albert Hammond’s The Air That I Breathe (1972) – later a hit for The Hollies. According to The Guardian, Radiohead gave Hammond and his co-writer Mike Hazlewood a credit in the Pablo Honey album liner notes. Stephen Schwartz’s score for ‘Wicked’ quotes 7 pitches from ‘Somewhere Over The Rainbow’… but does it infringe a copyright? Here is the abstract, with references, for the academic paper I presented at the IASPM 2017 conference in Kassel, Germany. At the moment it’s just abstract, slides and references. If it ever turns into a full paper I’ll upload it to this website with the rest. Abstract: The songwriter Stephen Schwartz once described his ‘Unlimited Theme’ (from ‘Wicked’) as a musical joke, using as it does the first seven pitches from ‘Over The Rainbow’.Schwartz believed that by limiting the number of copied pitches, he was evading an accusation of plagiarism. Schwartz’s belief in a legally defined plagiarism threshold represents a common misconception among musicians; there is a similarly widespread myth that copyright law permits a specific number of seconds of audio sampling (this has explicitly been contradicted in US case law). But borrowing and adaptation is a common form of creativity, and there is a real risk that if creators misidentify the line between influence and plagiarism, they might either inhibit their own creative freedoms, or inadvertently infringe copyright. This paper discusses the mythical plagiarism threshold, using examples from copyright case law, interviews with creators, and comparative analysis of musically similar works to explore the question “how much is too much”? Bridgeport Music, Inc. v. Dimension Films, 383 F.3d 390 (6th Cir. 2004)’. Harvard Law Review 118 (4): 1355–62. doi:10.2307/4093384. Cronin, Charles Patrick Desmond. 2017. ‘Seeing Is Believing: The Ongoing Significance of Symbolic Representations of Musical Works in Copyright Infringement Disputes’. Social Science Research Network. https://papers.ssrn.com/abstract=2967590. Demers, Joanna. 2006. Steal This Music – How Intellectual Property Law Affects Musical Creativity. Athens : University of Georgia Press,. Schwartz, Stephen. 2004. Wicked’s Musical Themes Interview by Carol de Giere. http://www.musicalschwartz.com/wicked-musical-themes.htm. Three Boys Music v. Michael Bolton 212 F.3d 477. 2000 477. 9th Cir. Friends, musicians and soundmen (and women) – lend me your ears. Here are some Wayfair TV commercials in a playlist – let me know (Twitter @joebennettmusic) what songs you think they’re using as a template for the music. Disclosure – this is for academic research, not copyright/client work. Academic/copyright post: here’s an abstract (pdf) of a paper that I’ll be presenting with Prof Wendy Gordon next week at Boston University Law School. Flautist and composer James Newton, whose work ‘Choir’ was sampled by the Beastie Boys in’ ‘Pass The Mic’. This is based in part on an earlier paper that we presented at the Art of Record Production Conference in Aalborg, Denmark in December 2016, a draft of which is embedded below with voiceover and music examples. As this is an academic paper about music copyright, it contains musical excerpts from the original audio recording. My first attempt to embed the video resulted in an automatic takedown (academic fair use YouTube dispute is in progress), so I’m trying again with a Screencast embed. Because the video represents commentary and (not for profit) academic research, I’m continuing to claim fair use. Let’s see how long the audio survives! Abstract: We have two concerns with music infringement trials: The first concern is the process by which juries decide questions of whether a defendant copied too much from a plaintiff’s work. (This is the inquiry sometimes known as “wrongful appropriation” or “substantial similarity”.) This paper discusses the challenges of methodology in forensic musicology, and the musical and psychological difficulties of applying the ‘substantial similarity’ test fairly and objectively. (Bonadio, 2016; Gordon, 2015). We present an analysis of three disputes, with comparative audio examples – The Isley Brothers/Michael Bolton (2001); Robin Thicke & Pharrell Williams/Marvin Gaye (2015); and Randy California/Led Zeppelin (2016). Our second concern addresses copyright classifications, in particular, the contested relationship between the creative decisions that give rise to copyrights in “musical works” (compositions) and the creative decisions that give rise to “sound recordings” (sounds as rendered). We suggest that overlap between the two is common and should be better recognized. To illustrate the potential compositional contributions of performers and sound engineers, we utilize audio examples from Newton v. Diamond and other disputes. What exactly did ‘Stairway to Heaven’ copy from ‘Taurus’? 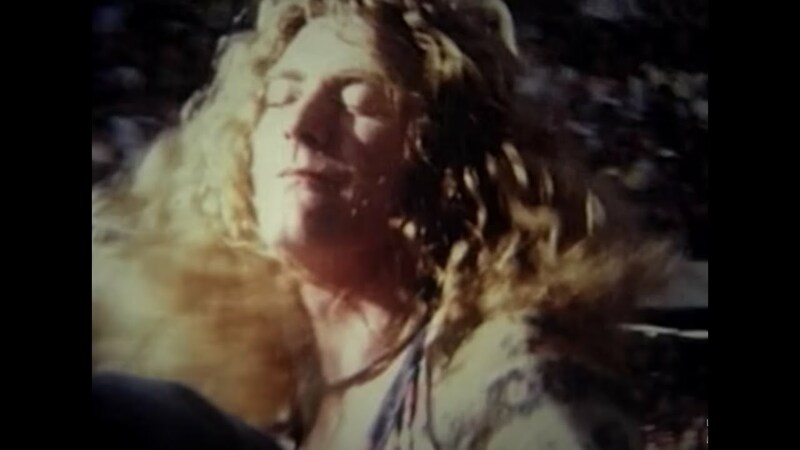 As mentioned in a previous post, the question of whether Led Zeppelin’s Stairway To Heaven (1971) copies a part of Spirit’s Taurus (1968) may soon be settled. Representatives of the late Randy Wolfe (aka Randy California) are claiming that the four-bar introduction section of Stairway To Heaven copies a substantial part of his 1968 instrumental composition Taurus. Judge Gary Klausner stated that a jury should be used, because the matter in question is necessarily subjective: “while it is true that a descending chromatic four-chord progression is a common convention that abounds in the music industry, the similarities here transcend this core structure […] What remains is a subjective assessment of the ‘concept and feel’ of two works”. So the Stairway to Heaven / Taurus controversy was back in the news yesterday, due to the fact that the dispute is to go to a jury in the US in May this year. I participated in a panel discussion about this a couple of years back for a Russian radio station. In the next couple of days I’ll post proper transcriptions of the two with audio and some discussion points. For now, here’s an interview I did yesterday with BBC Radio 5 live, discussing the songs with presenters Sarah Brett and Ore Oduba.